This honey and citrus dressing is the perfect complement to fresh summer fruits in this easy marinated fruit salad recipe. 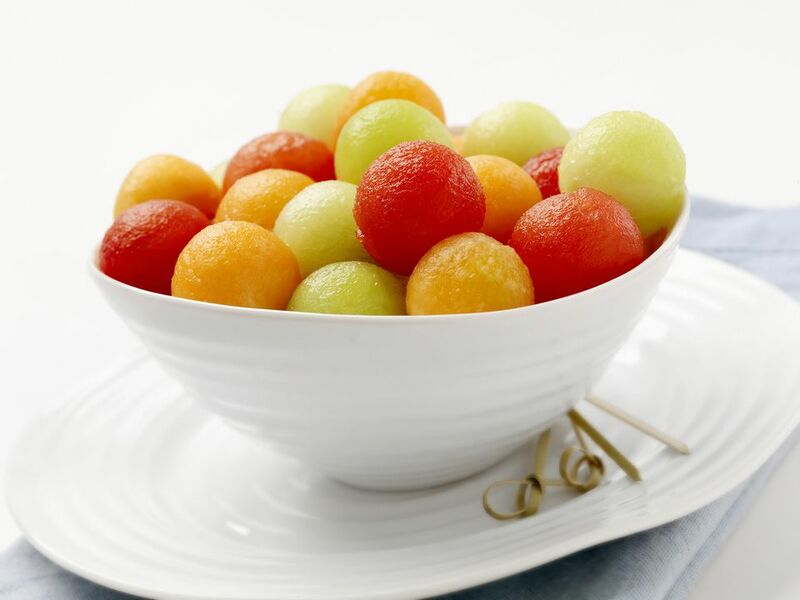 Along with the honeydew and cantaloupe, you can also use watermelon for your melon balls if that suite your taste buds. Combine honey and water in small saucepan and bring to a boil over high heat. Reduce heat and simmer 5 minutes, stirring occasionally. Add lemon and orange juices and cool completely. Place all fruits in ​a large bowl and pour cooled marinade over all.